Whether we want to admit it or not, celebrity games are a big deal when it comes to the mobile gaming today. It all started with Kim Kardashian’s game, so it’s not surprise that another huge celebrity decided to do the same thing and publish a new game. As you can see from the title, the person who decided to follow Kim K’s footsteps is no other than Nicki Minaj. 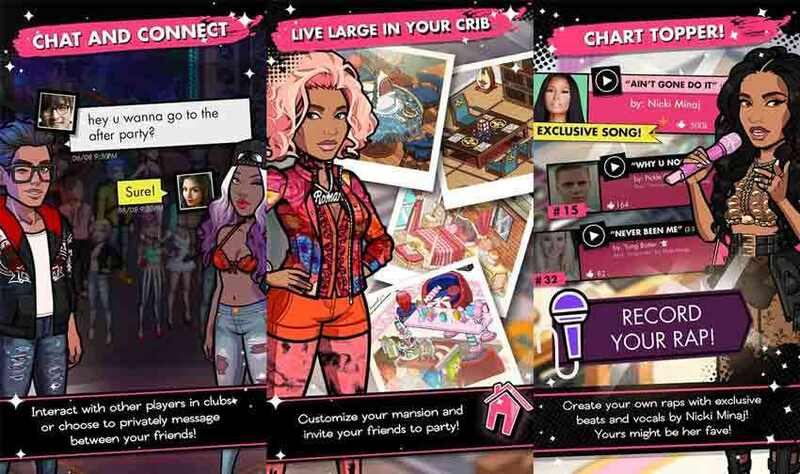 The developers of this game, Glu Mobile, decided that they will stick to their famous format, that brought them success in the previous games. We can’t say that this surprises us, because as the old saying says: “If it ain’t broke, don’t fix it”. But, we also can’t say that they didn’t change anything since we definitely see some new additions that might set this game apart from the similar ones. 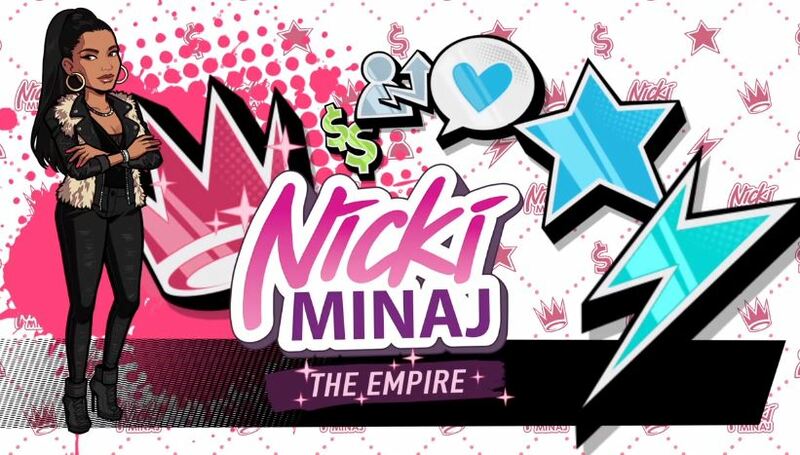 To be honest, Nicki Minaj: The Empire would still be a successful game even if it was just another copy because of all the marketing, but they still decided to make a high-quality game, just to satisfy their fans. When it comes to the story, it’s not that much different compared to the earlier games. Basically, you are friendless, anonymous person who somehow gets lucky and befriends a celebrity who is climbing their way to the world wide fame. From time to time, you will see Nicky Minaj on you screen, that will give you much needed advice or encouragement. The good thing about this game is that it gives you choice when it comes to the communication. This means that when Nicki, or pretty much any other character tells you something, you will be given a choice of what do you want to say back to him/her. In most cases the outcome will be the same irregardless of what you say, but it’s still nice to have a choice. The gameplay itself in this game isn’t that much interesting at all. You will spend most of your time moving around various locations in New York, going to all kinds of different events, photo shoots, dinners, etc. Basically, you will be living the life of a average celebrity. Alongside this, you will also have a possibility to customize both your character and your home. Generally, most parts of this game are focus on “business”, but, there is one important part of the game that most people ignore, rapping. In this game, you can get creative and write your own lyrics using words from premade songs. This is a really refreshing feature since it gives you a bit more freedom compared to other games and it also gives us feeling that Nicki worked on this game too. You know how celebrities complain about being tired from going to all these fancy events, well, you’ll have to deal with that problem in-game too. You’ll need energy to perform each task, but, since the energy is always limited, you will have to be very strategic, if you want to complete all the tasks. Sometimes when playing Nicki Minaj: The Empire, bluestacks ask you fee to pay but gives you option to download some apps. Every time it asks you just select “Install apps” and continue using it free. I hope you enjoyed this article, please rate and share. 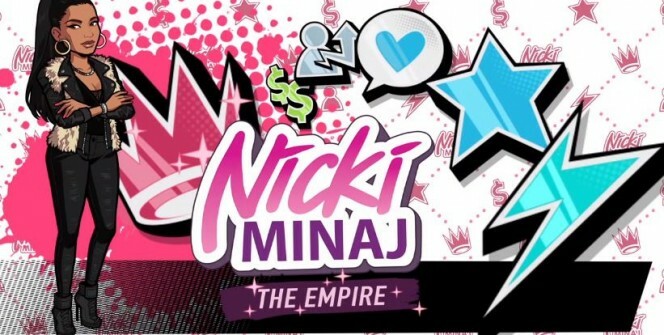 If you have problems running Nicki Minaj: The Empire on desktop or any other issues, leave a comment below.